SoftBank Corporation and the Kansai Yacht Club announced they will challenge for the 2017 America’s Cup. As SoftBank Team Japan, the team will compete in both the 2015 America’s Cup World Series events, and challenge for the 2017 America’s Cup in Bermuda. 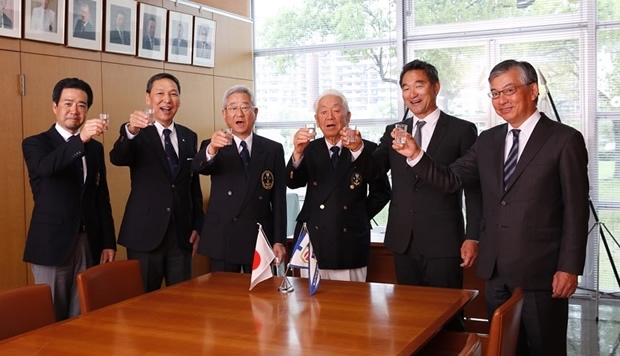 The campaign was confirmed today by Kazuhiko Sofuku, 'Fuku', a veteran of four previous America’s Cup campaigns who has been appointed as the team’s General Manager. SoftBank Group representative Masayoshi Son said, "I am thrilled to announce that we will be supporting Team Japan at the America's Cup." He added: "Taking on this major challenge at the pinnacle of yacht races matches with the SoftBank Group's aim to be the global No.1. We look forward to cheering on Team Japan along with all of their supporters." A base level of technical assistance from Oracel Team USA will be provided to SoftBank Team Japan as it prepares for the 2015 America’s Cup World Series events. According to Wikipedia Masayoshi Son is 'Japan's richest man' with a net worth of US$ 22.3 billion in 2014, but 'having the distinction of losing the most money in history (approximately US$70 billion during the dot com crash in 2000). Interesting that the Japanese team has bought into Oracle Team USA technology rather than picking up the assets of Luna Rossa lock, stock and barrel. And will they employ Chris Draper/Francesco Bruni/Dean Barker?